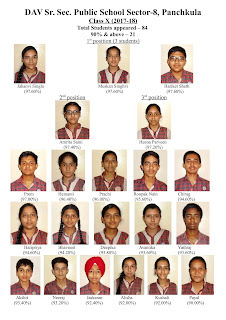 Chandigarh 31st May:- Students of Class X of DAV Public School Sector-8, Panchkula have done the school proud by showing excellent result in the CBSE Exam. 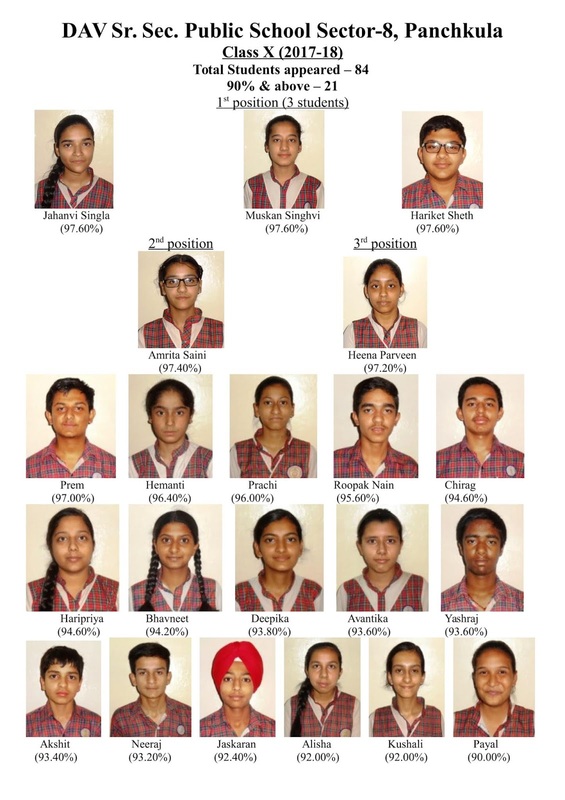 Jahanvi, Muskan and Hariket have topped the school with 97.6% followed by Amrita with 97.4% and Heena with 97.2%. 11 students have scored above 95%, 22 students have scored above 90%. 30 students have scored above 85% and 44 have scored above 80%. Amrita Saini scored 100 marks in Hindi, Maths & Science. The highest score in English is 99 with 29 students scoring above 90 marks. Highest score in Maths is 100 with 27 students scoring above 90 marks. 7 students scored perfect 100 in Hindi besides the 46 who scored above 90 marks. 20 students scored above 90 in Science and 17 students scored above 90 in Social Studies.